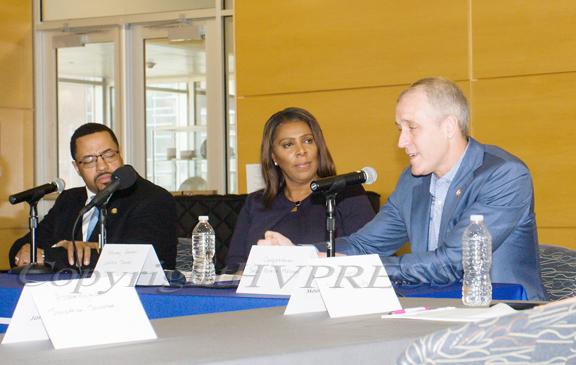 New York State Attorney General Letitia James listens to US Rep Sean Patrick Maloney during a forum in Newburgh on solutions to combat the opioid epidemic in NY State on Saturday, April 6, 2019. Hudson Valley Press/CHUCK STEWART, JR.
NEWBURGH – Fresh off a lawsuit filed against the pharmaceutical giant Perdu Pharma, makers of Oxycontin, New York State Attorney General Letitia James hosted a forum in Newburgh on solutions to combat the opioid epidemic in New York State with other local and state dignitaries. The forum comes about as 48 counties in the state have filed their own lawsuits against opioid manufacturers. 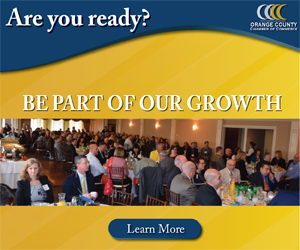 Speakers at the Saturday forum included Congressman Sean Patrick Maloney (NY-18), Newburgh Mayor Torrance Harvey, State Assemblymen Jonathan Jacobson (D-104), State Senator James Skoufis (D-39), and Orange County Undersheriff Ken Jones. Maloney pointed to federal bipartisan legislation designed to combat this epidemic – the Comprehensive Addiction and Recovery Act. “We have passed the most important addiction legislation in 40 years,” he said. As a high school history teacher and government leader, Mayor Harvey spoke about how today’s teenagers are affected by the opioid epidemic, both as victims and loved ones of victims. When the topic of recreational marijuana legalization was brought up as a possible alternative to combating the opioid epidemic, Harvey expressed concerns about youth finding another drug to abuse. He later clarified his comments. 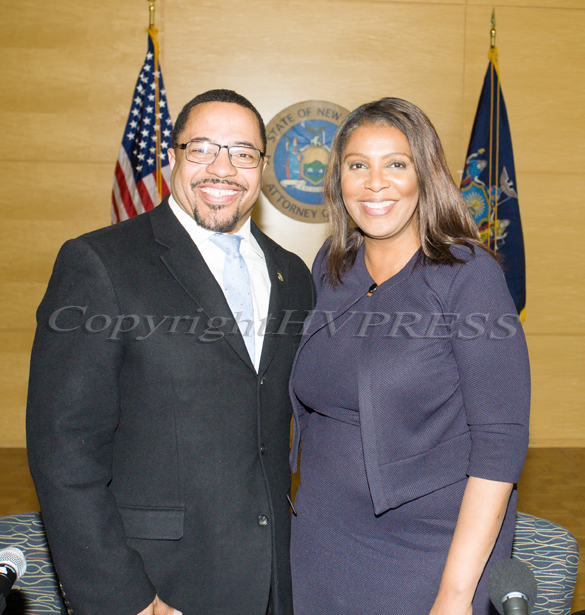 City of Newburgh Torrance Harvey with New York State Attorney General Letitia James who hosted a forum in Newburgh on solutions to combat the opioid epidemic in NY State on Saturday, April 6, 2019. Hudson Valley Press/CHUCK STEWART, JR.
A local resident and human services professional shared her story of addiction and recovery as a way to offer perspective on the issue. Voltaire pointed to her experience in handcuffs for a drug arrest as her rock bottom. To this end, Orange County Undersheriff Kenneth Jones credited incarceration as an effective method to help addicts get sober. Across the country, more than 400,000 people have died in the past 20 years from opioid overdoses, according to federal government data. In Orange County alone in 2017, there were 78 opioid-related deaths, the highest in the state.